Dominique Penninck graduated from the Veterinary school at the University of Liège (Belgium) in 1981. After a residency at University of Davis, California (1985-88), she joined the radiologist team at the Cummings school of Veterinary Medicine, Tufts University. She is diplomate of the American College of Veterinary Radiology, and the European College of Veterinary Diagnostic Imaging. She received her clinical PhD from the University of Liège in 1998. 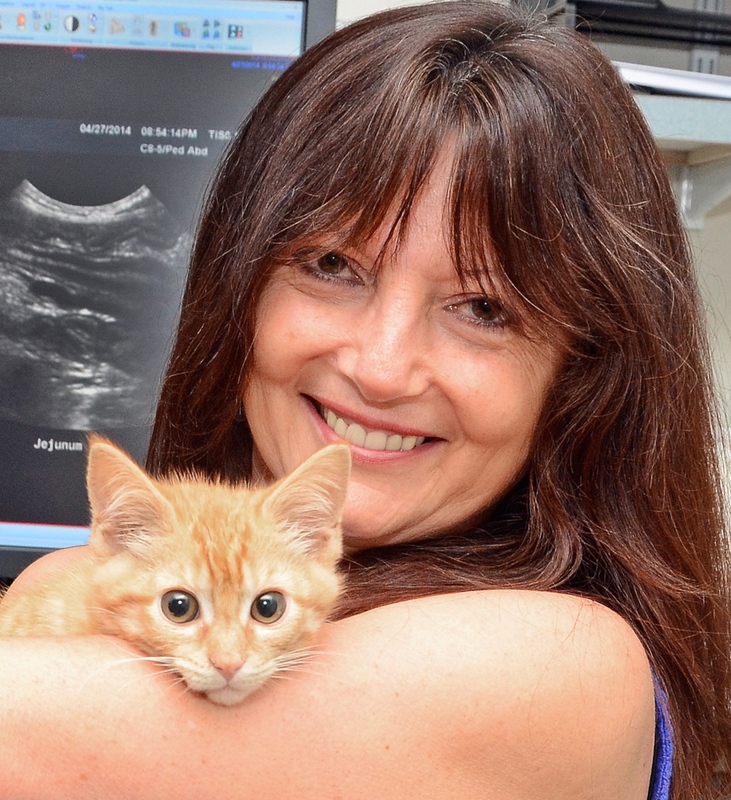 She has been invested in teaching ultrasonography to students, interns, residents, and practicing veterinarians, adopting and developing new methodologies to facilitate the learning of this modality. In her spare time, she enjoys spending time with her grown up kids, traveling, discovering the arts, taking photographs, and last but not least attending zumba classes, and dancing! Marc-André d’Anjou became veterinarinan in 1996, graduating from the University of Montreal, before completing a residency program in diagnostic imaging at Tufts University leading to his board-certification from the American College of Veterinary Radiology in 2003. He was faculty at the University of Montreal for 10 years before moving to a referral center in the Montreal area in 2013. He kept his Teacher Hat, lecturing to students and veterinarians, supervising interns and residents, and creating eLearning environments for small animal diagnostic imaging. Marc-André spends his free time traveling and chasing light and his kids with his cameras, and playing around with multimedia softwares. As opposed to Dominique, Marc-André is not a formidable dancer. Ultrasonographic and clinicopathologic findings in 21 dogs with intestinal adenocarcinoma. MC Paoloni, DG Penninck, AS Moore. Vet Radiol Ultrasound 2002;43:562-567. Ultrasonographic findings in dogs and cats with gastrointestinal perforation. SR Boysen, AS Tidwell, DG Penninck. Vet Radiol Ultrasound 2003;44:556-564. Diagnostic value of ultrasonography in differentiating canine enteritis from intestinal neoplasia. DG Penninck, B Smyers , CRL Webster, W Rand, AS Moore. Vet Radiol Ultrasound 2003;44:570-575. Ultrasonographic detection of ingested and perforating wooden foreign bodies in four dogs. D Penninck and SL Mitchell. JAVMA 2003 July 15;223(2):206-209. Ultrasonography of portosystemic shunting in dogs and cats. MA d’Anjou, D Penninck, L Cornejo, and P Pibarot. Vet Radiol Ultrasound 2004 45(5): 424-437. Relationship of pancreatic duct dilation to age and clinical findings in cats. S Hecht, DG Penninck, OM Mahony, R King, and WM Rand WM. Vet Radiol Ultrasound 2006;47:287-294. The Sonographic Search for Portosystemic shunts. MA d’Anjou. Clin Tech Small Anim Pract (Special topic: Ultrasound) 2007; 22:104-114, 2007. Ultrasonographic features of extrahepatic biliary obstruction in 30 cats. 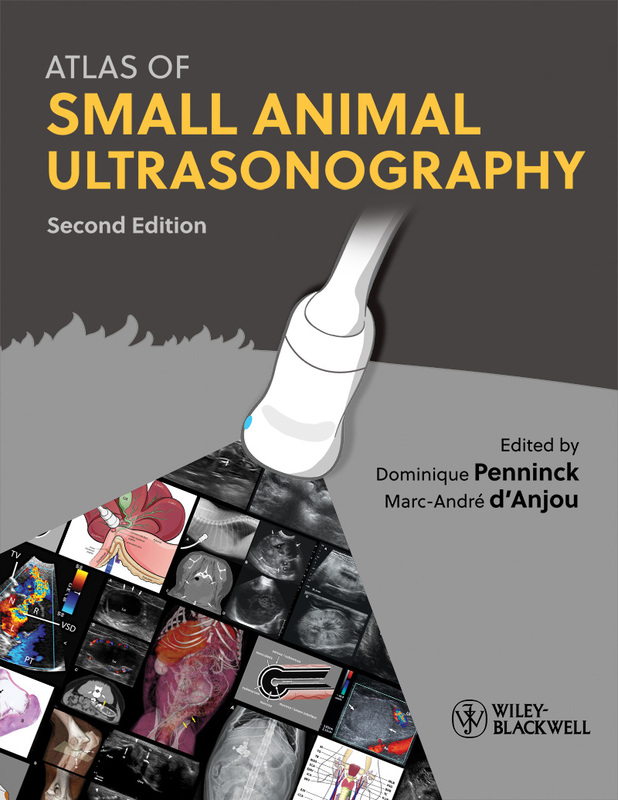 Gaillot HA, Penninck DG, Webster CRL, Crawford S. Vet Radiol Ultrasound 2007;48:439-447. Ultrasonographic measurement of kidney-to-aorta ratio as a method of estimating renal size in dogs. A Marechal, MA d’Anjou, M Moreau, G Beauregard, K Alexander. Vet Radiol Ultrasound 2007; 48(5): 424-438. Ultrasonographic intestinal hyperechoic mucosal striations in dogs are associated with lacteal dilation. J Sutherland-Smith, DG Penninck, JH Keating, CRL Webster. Vet Radiol Ultrasound 2007;48;51-57. Postoperative ultrasonographic appearance of uncomplicated enterotomy or enterectomy sites in dogs. AR Matthews, DG Penninck, CRL Webster. Vet Radiol Ultrasound 2008;49(5): 477-483. Non-surgical resolution of gallbladder mucoceles in 2 dogs. R Walter, M Dunn, MA d’Anjou, M. Lécuyer. J Am Vet Med Assoc. 2008 Jun 1;232(11):1688-93. Can sonographic signs predict the results of liver fine-needle aspiration in dogs with suspected liver disease? M Guillot, MA d’Anjou, K Alexander, C Bédard, M Desnoyers, G Beauregard, JRE del Castillo. Vet Radiol Ultrasound 2009, 50(5):513-518. Sonographic findings of gastric polyps in 7 dogs. A Diana, DG Penninck, JH Keating. Vet Radiol Ultrasound 2009;50(2):201-4. Clinical significance of sonographically-detected renal pelvic dilatation in dogs and cats. MA d’Anjou, A Bédard, M Dunn. Vet Radiol Ultrasound 2010, 52(1) :88-94. Ultrasonographic assessment of long-term enterectomy sites in dogs. Mareschal A, Penninck D. Vet Radiol Ultrasound 2010;51(6):652-655. Sonographic assessment of gallbladder volume in normal cats. D Penninck, J O’Sullivan, C Leveille-Webster. Vet Radiol Ultrasound 2010;51(6):665-666. The sonographic appearance of intestinal mucosal fibrosis in cats. D Penninck, CRL Webster, JH Keating. Vet Radiol Ultrasound 2010;51(4):458-461. Gallbladder sludge on ultrasound is predictive of increased liver enzymes and total bilirubin in cats. N Harrant, MA d’Anjou, M Dunn, G Beauchamp. Can Vet J. 2011 Sep;52(9):999-1003. Comparaison of sonographic features of benign and neoplastic deep lymph nodes in dogs. M de Swarte, K Alexander, B Rannou, MA d’Anjou, L. Blond, G. Beauchamp. 2011 Vet Radiol Ultrasound. 52:451-456. Ultrasonographic characterization of feline ileocecocolic abnormalities. O Taeymans, N Holt, D Penninck, CR Webster. Vet Radiol Ultrasound 2011;52, 335-339. Ultrasonographic and clinicopathological features of feline gastrointestinal eosinophilic sclerosing fibroplasia in 4 cats. A Weissman, D Penninck, C Wester, S Hecht, J Keating, LE Craig Journal of Feline Medicine and Surgery 2012;15(2),148-154. Ultrasonographic measurement of the pancreas and pancreatic duct in clinically normal dogs. DG Penninck, U Zeyen, O Tayemans, CR Webster. Am J Vet Research 2013;74(3),433-437. I have bought your book but would like to access the videos. Where do I find my password? Hi Sheelagh. The password for the video section is on page “xi” at the beginning of your book. I have bought your book and I have a curved probe of 5 MHz but I can’t get a clean image of organs, what should I do? May be it would be useful to consult the company who sold you the equipment to rule out a mechanical issue. Practical courses are often the way to get started, besides reading textbook and watching video clips. I wish you the best! Will the purchase of the Kindle version allow access into the website, or must I purchase the book version? I own a mobile sonography practice working out of a car and try to get everything I can in digital format since there isn’t much room for books in the car. Thank you. It should! I’ll contact the publisher to make sure. Any update on this question? When will the book be available? It was a little bit delayed. Hopefully in May or early June. We don’t have the control over the release date unfortunately… Thanks for asking! Did you ever find out if the Kindle version (or if there’s another mobile-friendly electronic version) will grant website access? Please send me your email-adress too. Thanks. What would be the clinical objective of your project exactly? You are intending to scan all limbs of old dogs for cancer screening? Are you sure this would be realistic in practice? We want to screen all limbs of dogs about 4 years, because in this age there are the first cases of bone-cancer registered. How realistic this would be, we want to find out in our studies. Did you consider that you’ll have to shave all limbs and that the exam could easily take a hour per limb to see all bones from different angles ? madvetrad@gmail.com. I may not provide an answer as quickly as you may hope, and thank you in advance for your comprehension.